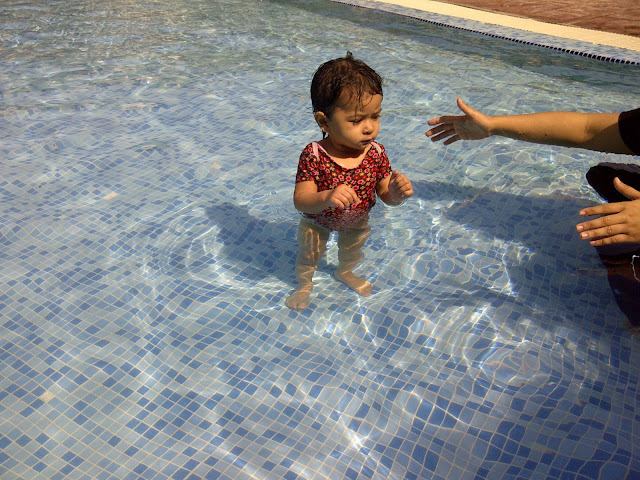 I really wanted to send Aulia' for an activity since she was 6 months old, and at this early age, swimming would be a great choice. We've been send her to Gymboree last year and she already finished her classes and we decided to get her involved with other activities such as swimming and music. In my opinion, it's better to start them young with swimming, because babies are born with a reflex called bradycardiac response. It allows them to hold their breath and open their eyes when being submerged. Unfortunately, the reflex will slowly be gone as they age. Plus, I heard that swimming lessons for older children are more expensive, so yeah...why not SAVE!..haha. Ok, back to the swimming class. The program was under Sports4u swimming centre, lead by Mr. Jordan. It is held once in a week, and I chose the Saturday evening class. 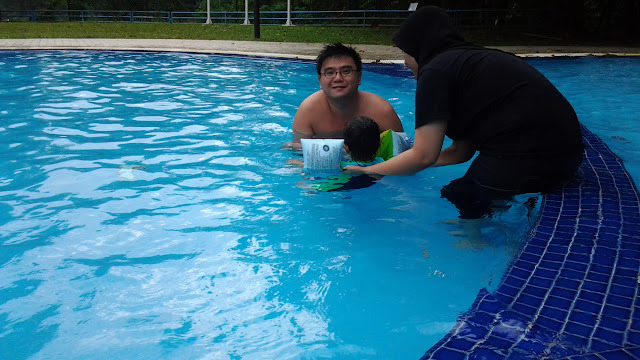 Parents must jump into the pool to accompany their babies...I like this kind of thing. It means it's an activity for me too. Instead we observe them having fun, I prefer TO HAVE fun WITH my girl . 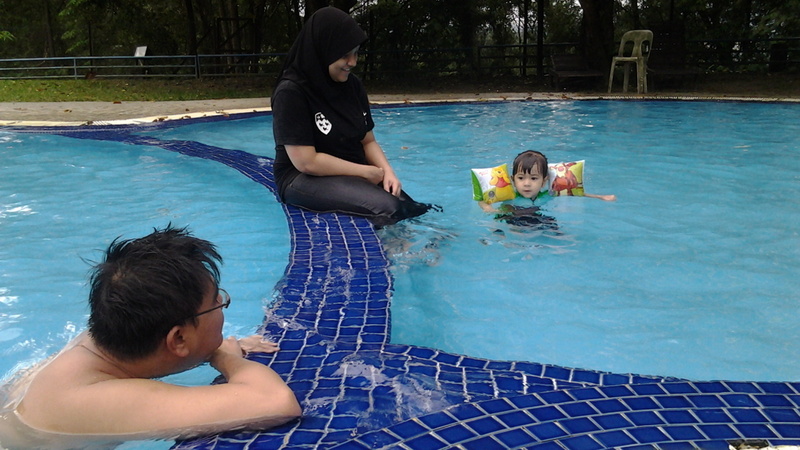 Baru lah namanya spending quality time together. But today I excuse myself from being in the pool. Hubby have to work today so only Mak Yang is able to swim together with Aulia'.. The first time Aulia' attended the class, she didn't cry at all. 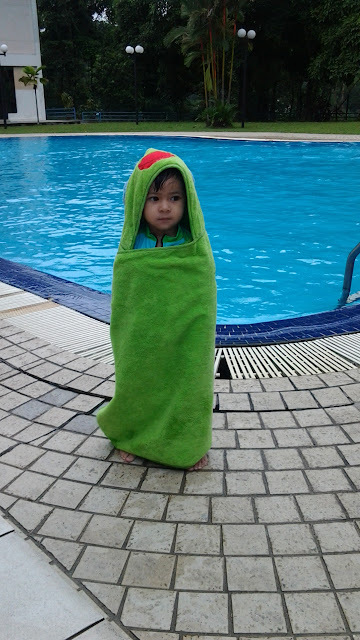 Luckily we exposed her to a swimming pool way earlier. So she got used to it, although occasionally she will shiver, but it won't last for long. 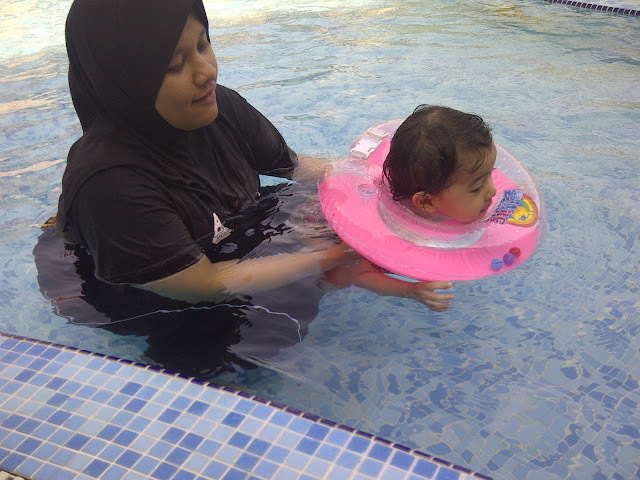 The purpose of the first class was to make her feel comfortable in the water. But never to force them to stay in the water. The next following classes, they will teach us how to submerge. 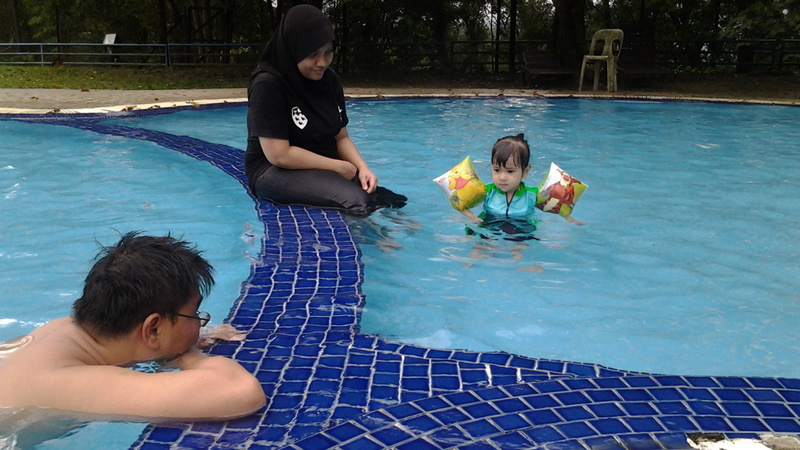 We tried it with Aulia' but she cried at first, she felt uncomfortable drinking the pool water, eventually, with practices, Alhamdullilah, she's doing just fine. Parents were taught to make a count of 1-2-3 with the same intonation, so it is conditioned in their mind that it is time to submerge. Next is to teach them how to float, paddle, how to jump into the water, how to hold to the side of the pool and many more. I think it may take weeks to months for Aulia' to actually being able to do all this. But there's nothing to worry about, after all, it is a gradual progress. 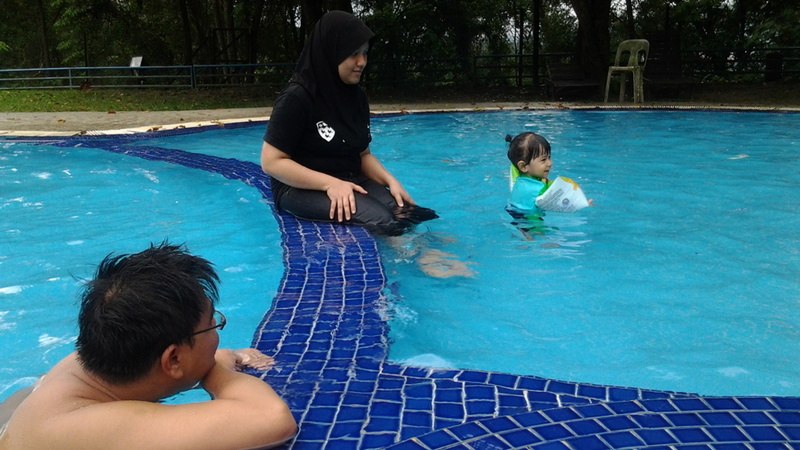 I don't expect Aulia' to swim, I'll faint if she can do so. Haha! Overall, I'm very satisfied with the class. It is something that I look forward to come the weekend. The family time...the bonding time. Oh..minus the tanning part!.. You see this kid happy face? She's shivering! 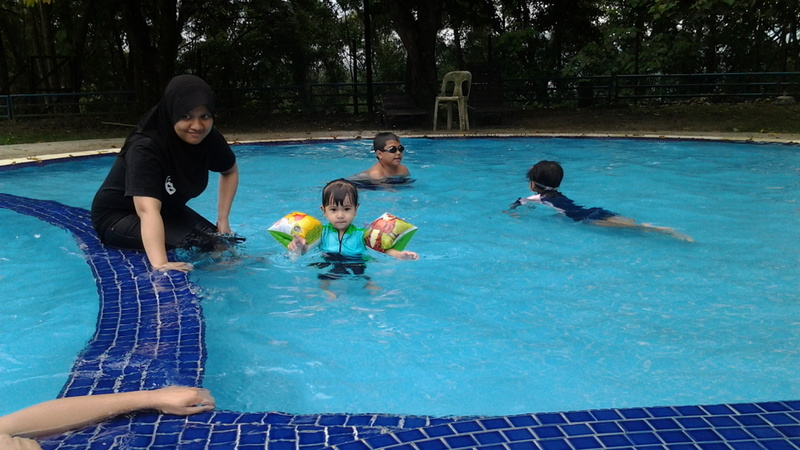 We'll have pool party tomorrow at Syathir's. 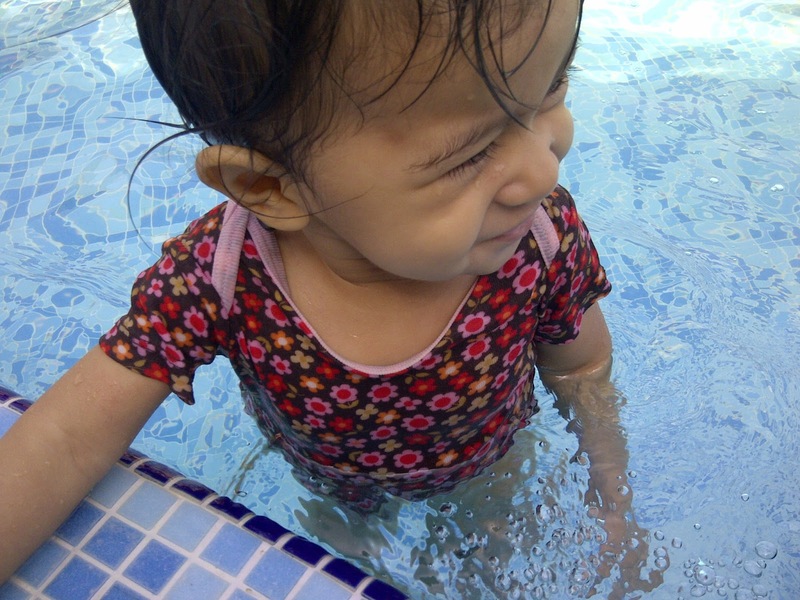 Gonna bring her swim suit along yaw!